We are happy to announce that BMX rider Lara Lessmann (GER) and slopestyle mountain biker Lucas Huppert (SUI) join the vanguard of TSG riders, keeping themselves safe while riding with TSG protective gear! 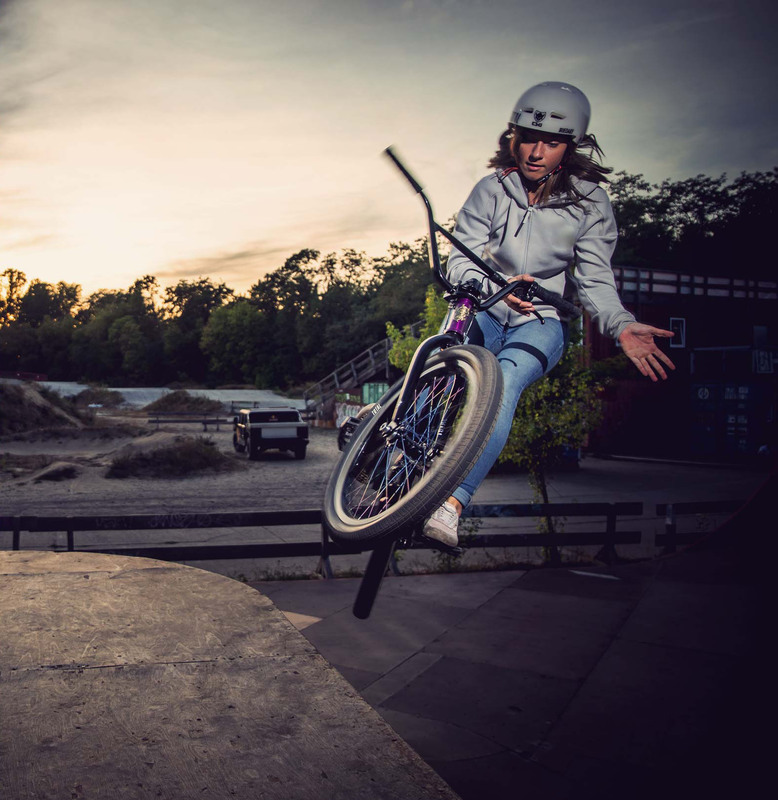 Lara Lessmann, age 18, has been regarded as the it girl in German BMX freestyle and park for some time. In 2017, she reached the top, winning silver at the Urban Cycling World Championships, in Chengdu (CHN). Then, in 2018, she competed in all four BMX Freestyle Park World Cups on the UCI, scoring podiums in all four, and crowned her season with a victory at the final in Chengdu. To top it off she also won a mixed, gold medal at the Youth Olympic Games, in Buenos Aires. 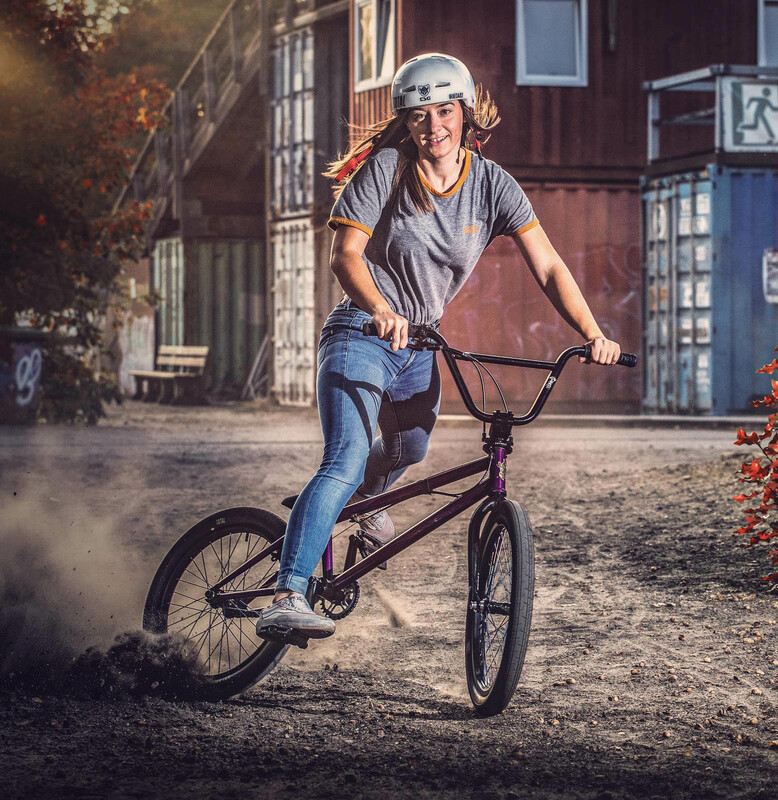 She is one of a new breed of female BMX riders peppering their runs with stylish tricks and combos, making her performance in women’s heats a thing of beauty. TSG gives me the security I need to feel comfortable while riding. Lara’s career began with her grandparents winning the lottery win and buying their then nine-year-old granddaughter a BMX with the cash. Her brother took her to the local BMX park “Schlachthof”, in her hometown of Flensburg, and she was hooked. Today, Lara lives in Berlin, where she practices at the infamous Mellow Park as part of the German Olympic BMX squad. She is now set to achieve her next big goal, to win at the Summer Olympics 2020, in Tokyo! Lara has been supported by TSG Germany since 2017 and will join our Global Team with immediate effect: “TSG’s Evolution helmet has been a part of my kit for many years and has been just as much a part of my riding experience as my bike,” she says. “Equipment by TSG protects me on my travels, competitions and sessions, giving me the security I need to feel comfortable while riding. I’m really excited to be part of the TSG Global Team”. Check out Laras Team profile! Lucas Huppert has a similar position in slopestyle and dirt jump mountain biking as Lara Lessmann has in BMX freestyle park: He is a young rider who has fought his way to the top, challenging international competitors throughout the ride. In 2018, the 18-year-old Swiss rider from Niederweningen, near Zurich, won gold at an FMB Gold Event, the O’Marisquino, in Vigo, Spain, after a string of top-ten spots on the FMB World Tour. It’s a dream to join the TSG pro team and ride with my childhood heroes. 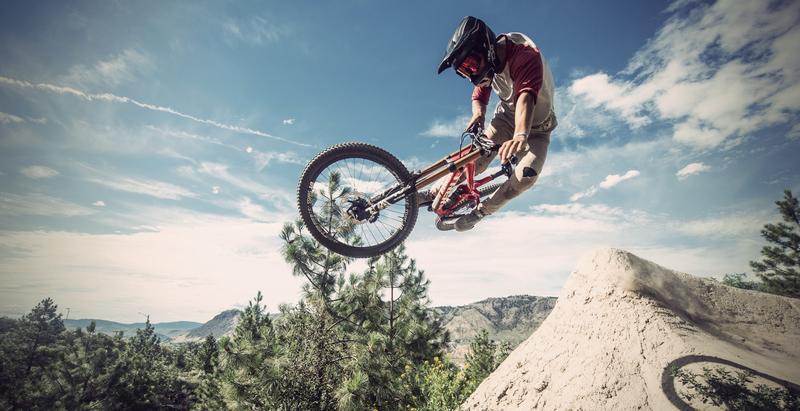 Age 18, Lucas Huppert was already an experienced mountain biker. 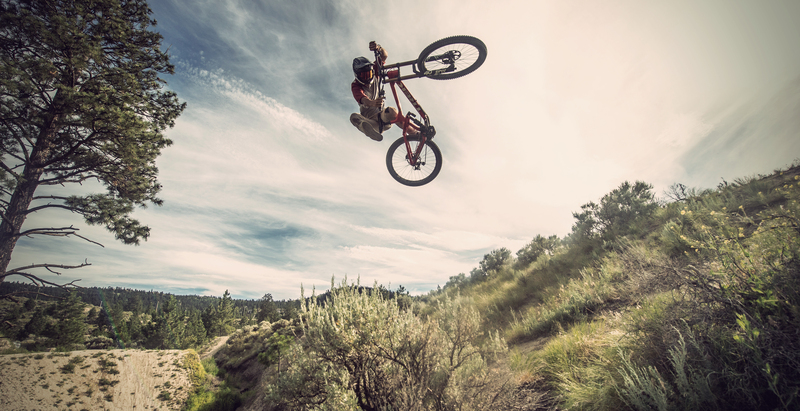 He took part in 4-cross competitions when he was only 8, then at 10 switched to dirt jumping. His riding style is a perfect mixture of tricks and flow, his tricks being more technical than acrobatic in style. “This is my fourth season with TSG and it’s definitely a dream to join the TSG pro team and ride with my childhood heroes, including Sam Pilgrim. It’s so cool to have such a good relationship with a sponsor from my hometown and I’m really thankful for the support TSG has given me on and off the bike in the last few years. I’m really curious what the future holds”. Check out Lucas team profile! Lucas just recently released a video from his busy hometown Zurich. Watch it here on youtube!